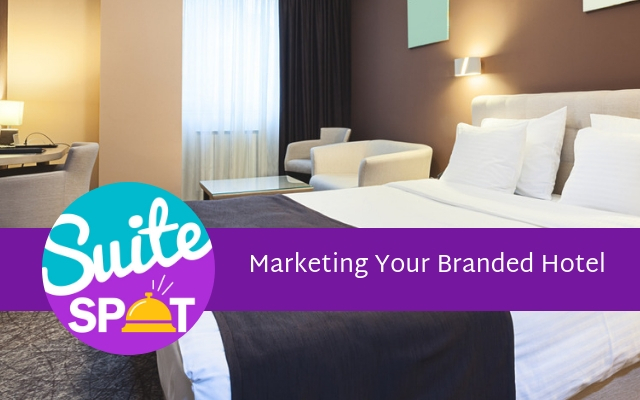 In this episode of Suite Spot, we focus on marketing branded and franchised hotels. Host Ryan Embree teams up with the leaders of Travel Media Group’s sales team, Diane Elderkin and Edwin Pomales, to discuss. 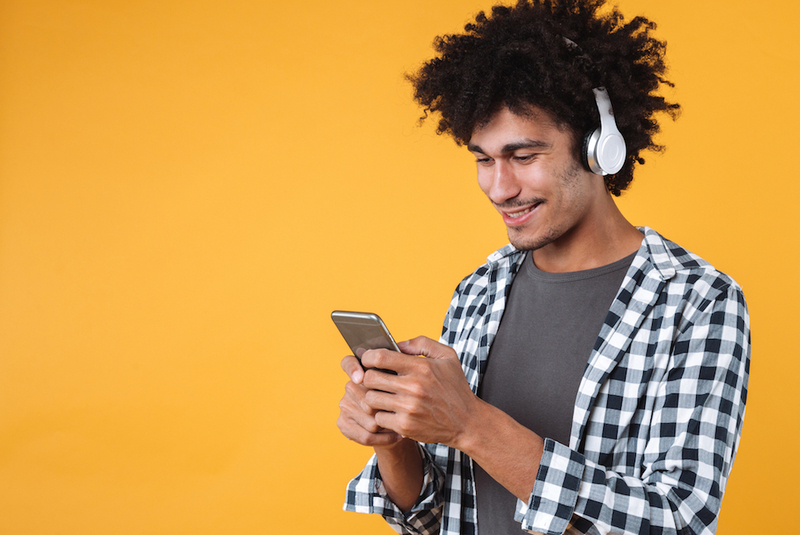 In the What's News segment, Ryan shares an article that highlights the 7 latest ways big brands are using content today. The article breaks down the different strategies and methods the brands are using to capitalize on content online. In The Suite Spot, Ryan, Diane, and Edwin share their thoughts on how branded hotels can provide customers with a unique and local experience. Diane and Edwin share what advantages and disadvantages franchised hoteliers and branded hotels face in comparison to independent hotels and home rentals. Ryan Embree: Hello and thank you all for listening. This is Ryan Embree, host of the Suite Spot. This is episode 12 and I'm very excited for this episode today. We are going to be actually piggybacking on an episode that we did earlier this year, episode five, which was a marketing tips for independent hotels. So we got a lot of great feedback from that episode and we wanted to kind of follow up and get the same sort of resources and additional education for maybe those hoteliers out there that have a brand, you know, they also need some help with marketing and give them some kind of tips and best practices on how to best market their branded hotels. So that's going to be our episode today. As we jump into the What's News we're going to be looking at an article from Today's Hotelier. This article, which you can find in our show notes, is, uh, titled the seven of the latest ways big brands are using content. Ryan Embree: And I found this article absolutely fascinating. 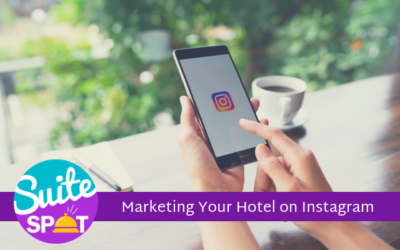 What it did is actually seven of the major brands: IHG, Best Western, Motel 6, Choice – even Marriott, and it looked at different ways that they were using content, uh, to really market their hotels. I'll go ahead and give a few examples - I won't give them all. Again, this article is in our show notes today, but the first one I wanted to bring up was a hashtag contest that IHG did. Where they use the #joyoftravel and they use it on all their social media platforms to promote both their own content and posts. But more importantly it was to capture traveler content engagement. Using hashtags for these campaigns can really draw a lot of engagement and can draw a lot of people together for a common purpose. So that is one of the ways that IHG or Holiday Inn was uh using content to market their brands across the board. Ryan Embree: Another one which I found absolutely interesting was Marriott and Under Armour teaming up and they teamed up to provide running routes for guests that were staying at its Residence Inn properties. So this is two major corporations and businesses teaming up again to draw awareness to the brands and to market. So again, those were just a few examples. It's a really great example of how brands are perceiving content though - they're seeing the value in this content that's out there and noting that if they utilize it in the right way, it can help promote their brand. That's more of a high level, um, you know, bird's eye view when it comes to marketing for a brand. But as we know, we know that there are tons of individual properties and franchisees within that brand. So today's Suite Spot, we're going to bring in two of our experts to talk to us about how you can utilize your brand, but you can also market your property on an individual basis and where that balance is and some best practices on how to really get your biggest market share possible. Ryan Embree: So with that being said, let's go ahead and welcome in Diane Elderkin and Edwin Pomales. 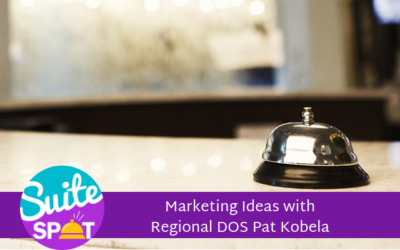 They are team leaders of our digital sales team and help consult with hoteliers across the nation on some best practices on how to market their hotels so they've got some great insight on day to day talking with hotels. Alright. Welcome in Edwin and Diane. How are you? Edwin Pomales: Doing good, thanks for having us. Ryan Embree: Absolutely. It's a pleasure. And last time you were here with me, we were talking about the rise of independent hotels and giving them some best practices and tips. We thought it would be best to bring you in for the branded side of things. Since we know so many hoteliers out there are affiliated and associated with brands. With that being said want to kind of jump right in and you know, we talked about independent hotels and you know, we're hearing more and more in our ears about the rise of vacation rental sites like Airbnb, travelers and millennials. They're looking for this local and unique experience. But where do branded hotels still have an advantage in this department? Diane Elderkin: Honestly, the story's really gonna rely, um, in what type of guest experience you're going to have. So with branded hotels, you know you're getting the known, right, so the expectation's already set, you know what you're going to get, you know you're going to invest all this money into where you're going to stay and that's the advantage that they have. Verse with Airbnb's and independents, it's really the unknown, right? It becomes risky where you're investing your money and you don't know what you're going to get. So you really just gotta leverage that. I mean that's the advantages of the known. Edwin Pomales: I totally agree with you. I think that, you know, with these Airbnbs and independent also comes, this expectation almost like you're expecting for something to go wrong as a traveler when you're going through these properties and these Airbnbs. And on the flip side for a property, your expectation is that you, you know what to expect when you get there. It's just a matter of the hotel living up to it. So I think customer service really what separates these Airbnbs from a branded hotel experience. Ryan Embree: Yeah, absolutely. And you know, you see these branded hotels, now they're starting to get these ideas from Airbnb and independent hotels and putting together a unique marketing packages and other things that really localize this experience. So how can an individual hotel your tailor their branded hotels, marketing strategy to cater to those travelers looking for unique and local experience outside of maybe just marketing packages. Diane Elderkin: Now, one of the biggest areas they need to look at is how to market their own property, right? Because you are a branded hotel, so you have the same expectations and same amenities, but it's about your property. So a couple of ways you can do that is first and foremost, your staff needs to provide a unique customer service experience. Um, for example, you know, when people go to the kiosk and ask, you know what, what's there to eat in the area? Your staff needs to know these answers. You know, you've got the, Airbnb isn't independent, they know that type of stuff. They know mom and pop restaurants. Another thing you want to look at is highlighting what separates you and really market the amenities. Maybe an Airbnb or an independent might not have. So an example is leverage your amenities such as like if you have an onsite restaurant with a bar, you can include a happy hour and you can market that. You could also look at marketing some of your events such as like pool events, if you have a volleyball competition or a corn hole tournament. All of these are unique experience that, you know, millennials are looking for. You just have to brand that, um, and, and be creative. Edwin Pomales: I agree with you and I think, um, you know, to go along with telling your story, where do you get that information from? I think you really have to tap into what guests are saying about you reading your reviews and understanding the things that are consistently getting good, good feedback from guests and maybe those things that you need to work on, but knowing who you are and knowing what your strengths and weaknesses are, a is really big when you, when you're trying to market your property. Ryan Embree: Very true. And it's all about leveraging your strengths. Right? And that kind of leads me into my next question here, which are, what are the marketing strengths or advantages that branded hotels have over independent hotels right now? Edwin Pomales: Well, I guess the first thing is you have that logo behind you, right? The story's already been told and it's just a matter of upholding that, that image that your property has. And uh, another thing that we know about a lot of travelers now these loyalty programs, so being able to market the loyalty programs and points and, and try to get, you know, people to revisit the property is something that is definitely an advantage for, for branded properties. Diane Elderkin: Yeah. And with uh, when we talk about marketing advantages, the brands have the staff to back it up, right? So you have these e-commerce managers, um, staff members that have the expertise that specialize in target marketing and using, using the data to reach more people. Ryan Embree: Yeah. And, we're going to talk about that a little later as far as how you can lean on your brand. You don't necessarily want to put chips all in-on your brand marketing for you because you're going to have other, you're going to have competition, within your brand in your own market, so you want to obviously do have that balance there of, you know, taking what the brand's giving you, but also doing stuff on your end as well. Um, which again, we're going to touch on a little bit, but in speaking of that, um, there are like everything, still some disadvantages or weaknesses that a brands have in comparison maybe to independents. Um, where do you see that opportunity there and what is that opportunity? Edwin Pomales: Well, yeah, I think those parameters they have to work within as far as requirements and expectations from the brand definitely can make a hotel feel, a branded hotel feel like, they're maybe boxed in a little. So I think that's, you know staying within those lines and um, what the expectation is that the brand have for you can be a disadvantage. Diane Elderkin: Yeah. You don't ever want to push the envelope and lose the brand by not being compliant. But there's a lot of things we hear when we talk to owners about, you know, they're not allowed to do websites or any other type of digital marketing strategy, so there can become times where it's difficult to get their story out, but there's also ways around it as well. Ryan Embree: And I think it's a double-edged sword too, because they do have, you know, we talk about brand compliance and I think a lot of our hoteliers sometimes have animosity towards those, those compliances. But at the end of the day, those are standards put in place for a reason, right? It's to make those hotels successful. The reason that you're talking about that as an advantage is the consistency of a traveler's experience in the trial and the guest knows what they're going to get when they walk through your doors is because of those brand standards. So, uh, you know, as much as sometimes hoteliers, you know, again, we'll look at brand compliance and sometimes a push against it. At the end of the day, it's, it's what's, you know, it's what's keeping your guests coming through the door. So yes, I agree with you, sometimes that can look as a disadvantage, but it's also an advantage to the hotelier as well. Um, so let's go ahead and transition into your team and how they're talking to hoteliers with brands, uh, affiliated with their properties versus independents. How does your team take a different consultative approach for handling brand hotels and what they can do to further their marketing or putting a strategy together? Diane Elderkin: Yeah, I think the misconception is, you know, the brand handles that or you know, corporate does that, but the true story is that's not really the case. So for our team, what we like to start with is we look at what your brand is currently doing and then what they're not currently doing. So yes, you have the brand name, but the goal is what else are they, are they, are they providing? So we'll start by researching the property online and then based off some gaps or areas of opportunity. We give them a clear path on some strategies that they can use that maybe the brand is not doing. And some of those ideas are, you know, whether or not are you responding to reviews, are you leveraging social media to target a larger audience. The good thing is with the brands, it's very clear for us on our team to identify those gaps because with the brand, you know what is expected versus an independent, you know, or an Airbnb they not might not be online period. Ryan Embree: And I think too, I mean being, you know, your team being experts in and some of a lot of the brand standards that are out there for the different major hotel brands, you guys can speak to those very clearly as far as you know, knowing how long it might take for a review to sit there until that hoteliers find these standards are constantly changing when it comes to social media, what that strategy looks like from a brand's perspective versus a localized competition. And we're going to kind of talk about that and this is kind of a two-part question because I want our hoteliers to kind of be able to follow along here on what we're talking about when we talk about branded hotels. Of course you've got your local competition which is you know, everyone in your direct area that you're going head to head against, but with brands you also have competition within your brand that's also in your area. Let's just start locally, right? Just in your area, what are the ways that you can be found there? Edwin Pomales: Absolutely. I think that that is the first part, right, and being found and visibility as far as standing out amongst your competitors, so things like making sure that your listings are correct, your name, your address and phone number is being marketed correctly and consistent across the board and knowing what the requirements are when it comes to SEO and what, what, what things are having an impact on how well your property is being are coming up in rankings for the market. I think that's the start. You gotta be you gotta be found before you can get chosen. Ryan Embree: Let say you are found, right? They, they, they know that they're or they're a part of that loyalty program. Now you've got that competition within your brand. You know, if you're a Wyndham and you've got La Quinta and a Baymont, you know, those two are competing against each other. A Comfort Inn and a Quality Inn are competing against each other. So how do you distinguish yourself and be that second part, right? Not just the be found, but the be chosen part, uh, within your brand. Diane Elderkin: Yeah, I mean, that's the real question, right? You'll be found and then are they going to choose you, you have so many different competitors around you but within your same brand. So if, if you're listening, I want you to really think about, you truly need to know your strengths and your weaknesses and one way you could do that is leveraging and reading user generated content and that's honestly just looking at your property online, using social media, reading the reviews and based off what they're telling you, you want to use that and target your audience and make adjustments. So, um, one thing you could do is, you know, market, not just your hotel but the area you could use, sporting events, universities, graduations, things to do in that area. Um, and one thing I will say is you need to hire an expert to do this because it is not something that is easy or anything you can do overnight. But if you could hire an expert to do this, that'll just make your life a little bit easier. And we talked about too, using special packages for group rates too, right? That's also another unique way. Um, you can get people to choose you over maybe your other sister property. You could use family or friend reunion discounts. If you have meeting space offer half day, full day, maybe multiday meeting rates, wedding discounts. I mean there's so many different ways you can use this. Edwin Pomales: I agree. I mean using...I mean that's another advantage of there being able to have a director of sales or the director of marketing whose sole purpose is to go after groups and figure out ways and creative ways to get more people through those doors. I think developing relationships with local businesses and the Chamber of Commerce is something that a director of sales can focus on. Um, you know, even on the other side, you know, telling the property story, you having a virtual tour of the property on your website, giving guests a way to, a way to visualize what their stay is going to be like with you before they get to the property. And obviously at the end of the day when we're talking about being chosen nowadays, we know that 81 percent of guests are going to check your TripAdvisor before they book with you. So it really does come down to managing and having a strategy in place to get more positive reviews on those sites and also help prevent the negative reviews. Diane Elderkin: And the goal overall here is to make sure you are the obvious choice within that market, right? So you know in any given market you have, let's say 200 people coming in that market, it is your job to make sure you are convincing enough to make sure that you are the one that's going to be chosen. And to do that you've got to start somewhere with-and you got to use your online strategy and online marketing strategy. Edwin Pomales: I agree with you there, Diane. I think understanding what we call the traveler's journey and the different platforms that people are researching before they make a booking decision is critical for any property. They're checking your social media, they're checking your TripAdvisor, they're doing that from their phone or doing it from a computer. So you need to be responsive and I think giving yourself the best opportunity to convert that person that's researching to an actual guest that's booking, uh, is critical. Ryan Embree: Yeah. And you know, like we kind of said before in this, you know, your brand is doing a great job of getting the traveler to a certain point. They're familiar with what that, what experience they could potentially have because they're familiar with your brand, your logo, but it's your job to finish and to get to that, get that traveler in through your doors. Because at the end of the day, whether you're Choice, Marriott, Hilton, Motel 6, any brand out there, you want them to book with your property individually, you're not happy with just stop- stopping with the brand you want them to get to your property. So I think what you guys are talking about here of managing your reputation, looking at your social media, partnering with local businesses, do whatever you can to make your property stand out, not just in your market, but within your brand is ultimately going to give you the best conversion rate out there and give you the best opportunity to capture that guest. And that's what it's all about. Ryan Embree: So I think that was, I think overall that would be the biggest takeaway. I want to thank both of you guys for taking the time to come on today and again, use your expertise. 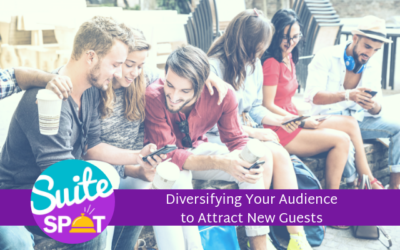 If you listeners are out there and you have a branded hotel and you're looking maybe for some ways to again, just get to that next level when it comes to, to converting bookings. I'm sure Edwin and Diane's team would love to speak with you no matter where you're at. Um, you can reach us at 407-984-7455. We'd love to hear your feedback and we can definitely connect you with someone on their team. So Edwin, Diane, thank you so much for taking the time today. Ryan Embree: And, uh, we will see you next time on the Suite Spot. To join our loyalty program, be sure to subscribe and give us a five star rating on iTunes. Suite Spot is produced by Travel Media Group. Our editor is Anne Sandoval with cover art by Bary Gordon and content support by Amber Wojcek. I'm your host, Ryan Embree, and we hope you enjoyed your stay. I think branding is one of the important aspects of a business that many entrepreneurs forget or overlook. Great advice.